As established by Social Identity Theory (SIT), belonging to specific groups is part of our identity and constitutes the feeling of “who I am” and “who I am not”. Social groups are thus an essential part of life – not only for social interactions but also for defining part of our self-conception. Early experiments found that even minimal, entirely random in-group/out-group categorizations are sufficient to cause a status gain of the in-group, while simultaneously discriminating the out-group. In this paper we transfer this so-called Minimal Group Paradigm (MGP) to online collaboration. 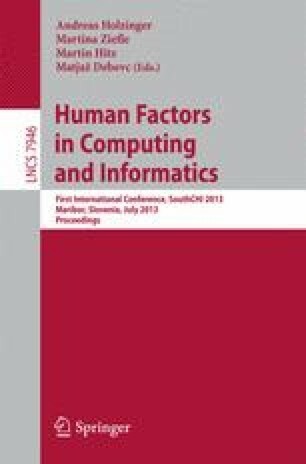 Two empirical studies with a total of N=190 participants were conducted to replicate the Minimal Group Paradigm in different virtual settings (informal vs. work) and with different degrees of information available about the supposed group members. Overall, results show that indeed in-group favoritism could be elicited in totally anonymous virtual settings without any real interaction. Yet, the Minimal Group effect varied according to the complexity of the clues: in-group favoritism was stronger in settings with less information available. Implications for research and practice are discussed.